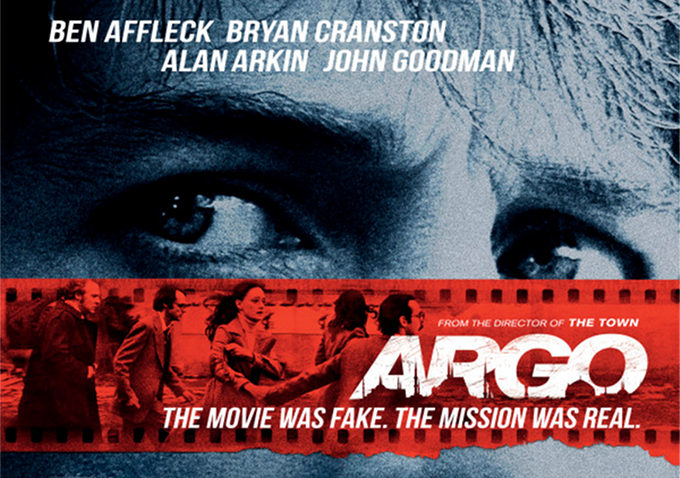 Having heard raving reviews of Argo, I was really excited to watch this movie. Especially since I was sick & tired of the crappy alternative mostly-horror-movies that were screening here, apart from Skyfall. Plus the trailer seemed interesting. Plus the "based on declassified true story" claus got me hooked. Plus Ben Affleck's hot. Nuff' said. Argo's a very interesting movie with a refreshing plot(obviously since it is based on a true story and the story's not been made into a movie until now). Ben Affleck's directed it fine. While Ben Affleck is the said lead protagonist of the movie, there isn't really a lead in this movie. It's rather about a team of characters that work towards achieving a particular goal. This teamwork shown in the movie is fascinating, perhaps even a learning point for all of us. Interesting storyline,good sense of humour & timing of that humour,no dramatic effects or moves & thus very realistic,smooth flow of story. Hats off to the writers Chris Terrio and Joshua Bearman. The story was indeed well written. A *little* slow. Hence if you've had a long day or have tired eyes, choosing to go watch this movie wouldn't be one of the wisest choices you'd have made in that day. This movie requires you to pay attention as it has historical context and you won't get it if you don't follow through. Personally, I felt Ben Affleck could've given this movie a slightly better treatment. He could've covered the entire story at a 1x pace instead of the mostly-0.5x-pace he chose. Well written as it may be, it could've been better executed. Fine direction, amazing screenplay, good cinematography, average editing. Personally, I liked the movie.